These figures stem from a report issued by KPMG, reflecting IFEMA’s notable growth last year. The institution expanded its activity to serve 33,203 exhibitors –7% more than in 2017– and welcome 3.6 million visitors –a 14% increase–. IFEMA’s economic impact on Madrid has also been strengthened by the growing internationalisation of the trade fair’s business. The economic impact of the fairs and congresses IFEMA organises has grown by 25% in terms of income and 40% in terms of job creation, notably increasing its weight in the city’s GDP (3.2%) and in the region (2.1%). In both cases, this represents a 0.5% percent growth with respect to the consulting firm’s previous report. IFEMA’s success in 2018 can be summarised by its new record milestones: a total of 119 trade fairs, 12 of which were held outside Spain; 8 large congresses with exhibitors; as well as the sum of all the conventions, festivals and entertainment events targeted at both professionals and the general public. All this represents a total of 720 events last year, 21% more than in 2017. This wide range of activities helped IFEMA boost its business volume to 138.5 million euros, an increase of 17% with respect to 2017, with an EBITDA of 27.7 millions (+23%) and 10.8 million euros in net profit, doubling last year’s figure. This significant leap in IFEMA’s economic impact on Madrid has also been strengthened by our greater internationalisation. For example, international exhibitors now represent 29% of the total, and international visitors, 12%. 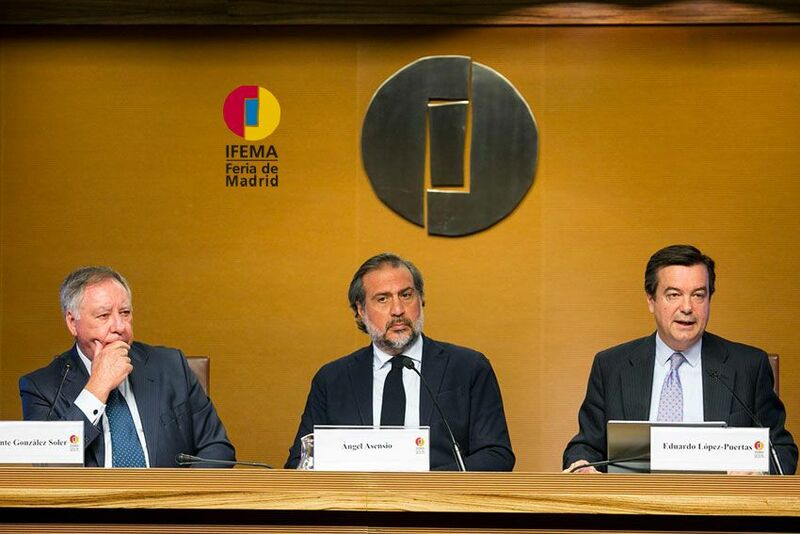 The stimulus that these results and Madrid’s positioning as an international leader in the MICE industry provide is successfully guiding IFEMA’s along its roadmap. For 2019, we expect to bill 145 million euros, with a business portfolio that will include more than 100 trade fair activities and 700 events of all kinds, in addition to participation by approximately 35,000 companies and 4 million visitors.